“[My other problem] The commentators… Joe Rogan, one of my best friends, my brother. And even Jimmy Smith, those guys. When they would go, ‘Mike Jackson has high-level striking’. I think we have to be very careful, very careful not to throw around the term ‘high-level striking’. Trust me, a high-level striker would have beat CM Punk in under 30 seconds. 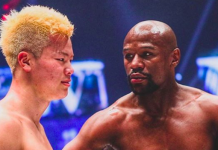 It would not have been a competitive fight if any one of those two had some sort of high-level striking. UFC 225’s commentary caught a bit more flack than we’re used to. And it seems that former fighter turned analyst/podcaster, Brendan Schaub agrees with it. 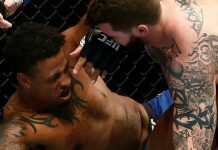 Kicking off the main card of Chicago’s monster UFC 225 event was the ‘freak show fight’ between Mike Jackson and former WWE star, Phil ‘CM Punk’ Brooks who was making his return. Jackson would dominate and showboat his way to an easy unanimous decision victory to the displeasure of Dana White. 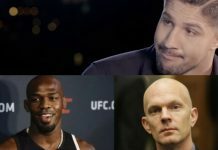 During the fight, the commentary crew, particularly longtime broadcaster, Joe Rogan would critique the action negatively but also make the claims as Schaub mentioned that Jackson was a high-level boxer. Rogan based this off of what was seen in the Octagon as there was really no other evidence to go by besides Jackson’s 2011 Houston Golden Gloves title. Also critical of commentary recently was retired referee turned commentator himself, ‘Big John’ McCarthy. Big John discussed how he believes some of the blame for rule and judging based controversies belongs to go on uneducated commentary. 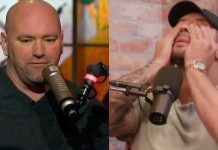 Do you agree with Schaub that the UFC 225 broadcast crew was being a little bit generous during the Jackson vs CM Punk fight? 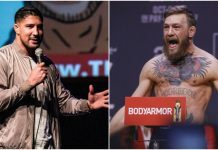 This article first appeared on BJPenn.com on 6/18/2018.